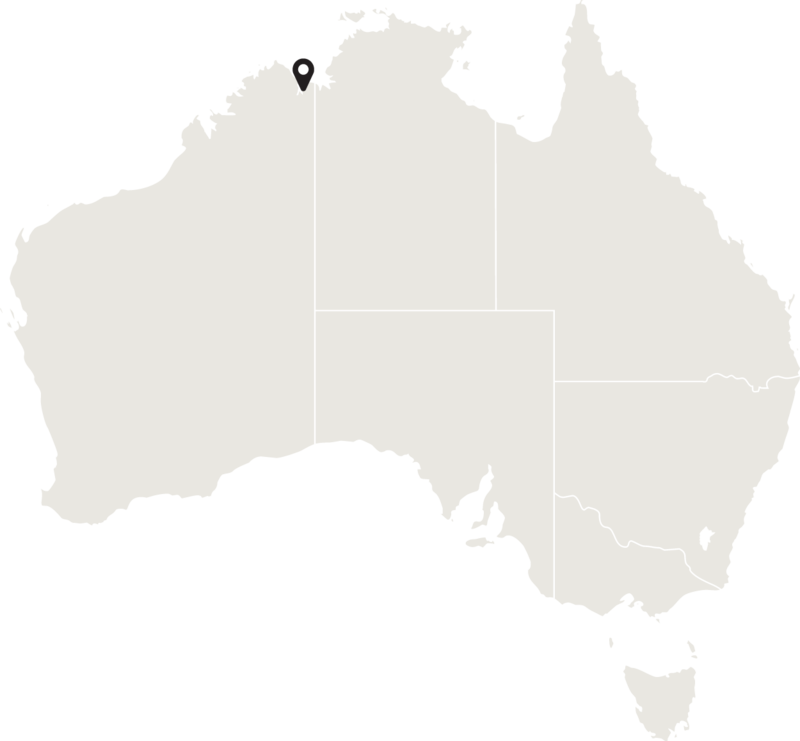 Located on the northern-most part of Western Australia and covering some 421,451 square kilometres (approximately 261,000 miles), an area three times the size of England and three fifths the size of Texas (USA). The Kimberley dry season is characterised by clear blue skies, easterly winds and balmy days with some chilly nights. The weather is very stable and the chance of rain very unlikely. However, during the wet season, the Kimberley becomes hot and humid, sometimes violent, and above all unpredictable. 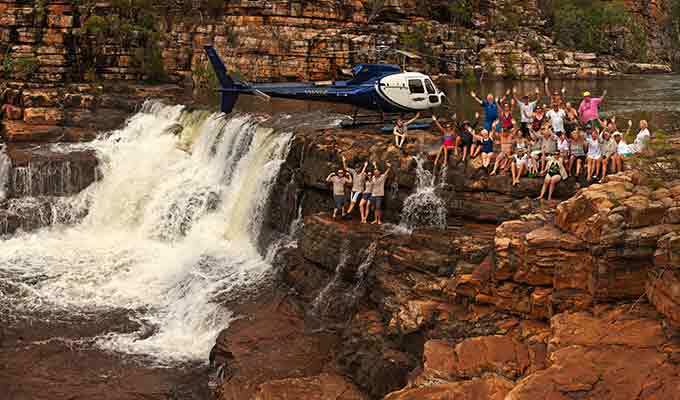 The Kimberley is one of Australia's hidden treasures with an immense and complex landscape that encompasses spectacular gorges, waterfalls and cave systems, pockets of lush rainforest and an astonishing variety of wildlife. 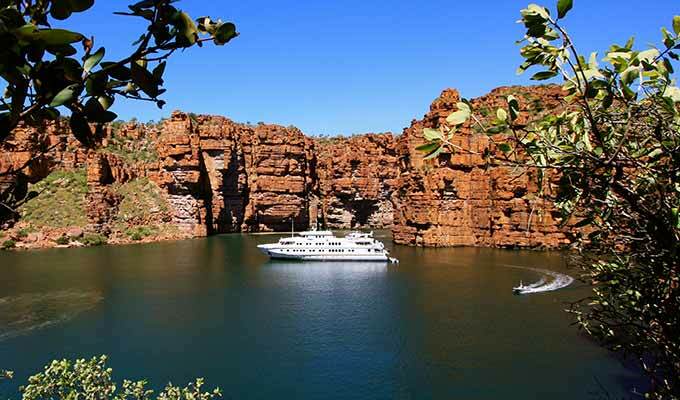 Wild and wonderful, the Kimberley is one of the world's last great wilderness areas. 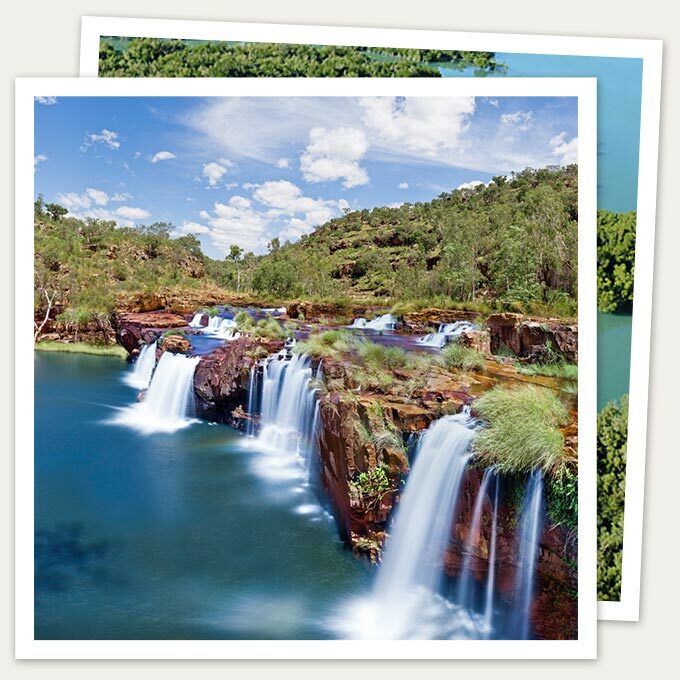 The Kimberley in Western Australia's far north is a dramatic area of waterfalls, gorges, beaches and rugged outback. 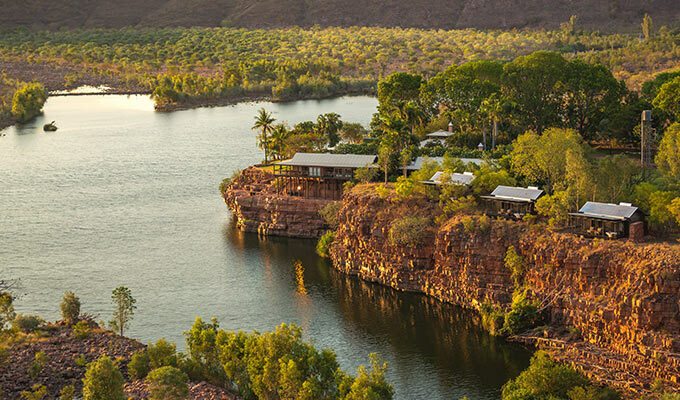 Despite, or maybe because of, its remoteness, The Kimberley is growing in popularity as a destination. The unfettered space and wild beauty of this region is unparalleled and unforgettable. The Kimberley is home to only 40,000 people meaning that there are fewer people per kilometre than almost any other place on the planet. 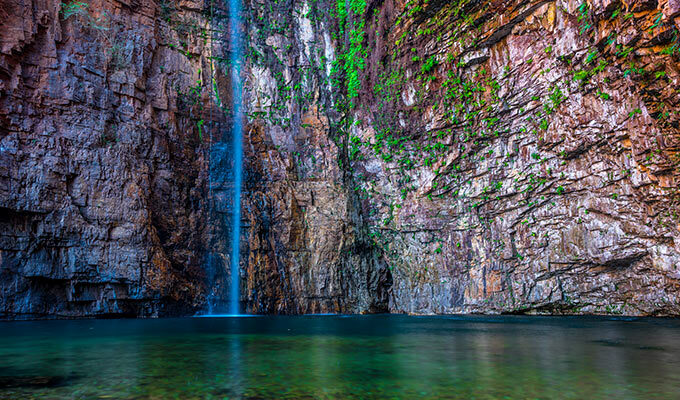 Located north of the Tropic of Capricorn, the climate in the Kimberley is a tropical monsoon climate, defined by a distinct wet season and dry season. This climate is typical not only in Western Australia, but across all of Australia's North. The Kimberley dry season is characterised by clear blue skies, easterly winds and balmy days with some chilly nights. The weather is very stable, and outdoor activities and events can be planned years in advance. The chance of rain is very unlikely. Every day is so beautifully perfect. The Kimberley wet season however, is a different story. During the wet season, the Kimberley becomes hot and humid, sometimes violent, and above all unpredictable. The remote Kimberley region of north Western Australia was one of the earliest settled parts of Australia, with the first arrivals landing about 40,000 years ago from the islands of what is now Indonesia. The Kimberley region is home to hundreds of thousands of rock art paintings and drawings known as Bradshaw or Wandjina rock art. These beautiful and mysterious paintings are hidden in outback bush galleries on the huge escarpments and terracotta rock surfaces of the north Kimberley. The first European to explore the region was Alexander Forrest in 1879. Forrest was the first European man to discover and name the Kimberley district, the Margaret and Ord Rivers, the King Leopold Ranges, and the fertile area between the Fitzroy and Ord Rivers. He subsequently set himself up as a land agent specialising in the Kimberleys and was thus instrumental in the leasing of over 51 million acres in the region during 1883. The Durack family sought Forrest's advice and went on to establish the Lissadell, Argyle, Rosewood and Ivanhoe cattle stations in the Kimberleys. 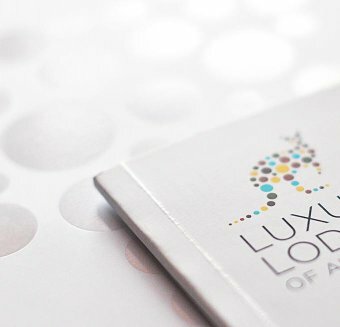 It was at the Ivanhoe Station, to the north of Kununurra, that Kimberley Durack first began experimenting with the possibility of growing cash crops on the rich black alluvial soils of the Ord River valley. This was to later grow into the Ord River Scheme. European settlement expanded during the late 19th century, when cattle were driven across Australia from the eastern states in search of good pasture lands. Many other Europeans arrived soon after, when gold was discovered around Halls Creek and pearls were harvested at Broome.